Functional genomics studies have led to the discovery of a large amount of non-coding RNAs from the human genome; among them are long non-coding RNAs (lncRNAs). 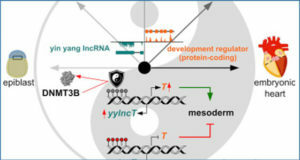 Emerging evidence indicates that lncRNAs could have a critical role in the regulation of cellular processes such as cell growth and apoptosis as well as cancer progression and metastasis. As master gene regulators, lncRNAs are capable of forming lncRNA-protein (ribonucleoprotein) complexes to regulate a large number of genes. 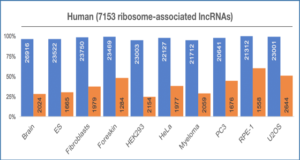 For example, lincRNA-RoR suppresses p53 in response to DNA damage through interaction with heterogeneous nuclear ribonucleoprotein I (hnRNP I). 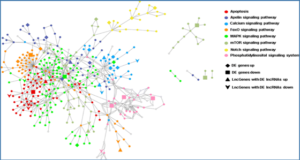 The present study demonstrates that hnRNP I can also form a functional ribonucleoprotein complex with lncRNA urothelial carcinoma-associated 1 (UCA1) and increase the UCA1 stability. 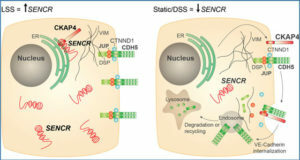 Of interest, the phosphorylated form of hnRNP I, predominantly in the cytoplasm, is responsible for the interaction with UCA1. 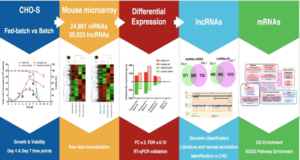 Moreover, although hnRNP I enhances the translation of p27 (Kip1) through interaction with the 5′-untranslated region (5′-UTR) of p27 mRNAs, the interaction of UCA1 with hnRNP I suppresses the p27 protein level by competitive inhibition. In support of this finding, UCA1 has an oncogenic role in breast cancer both in vitro and in vivo. Finally, the authors show a negative correlation between p27 and UCA in the breast tumor cancer tissue microarray. 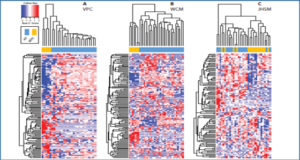 Together, these results suggest an important role of UCA1 in breast cancer.